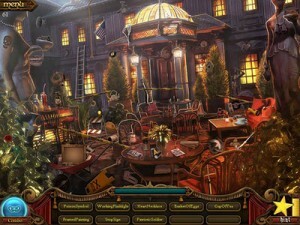 Have you ever played any Hidden Object games? You have a picture with tons of objects and you have to find a specific object – your analytics program offers the same type of goodies. You just have to find them, hidden in a mess of other goodies. There are always keywords, and web analytics can be a treasure trove. Whenever you have writer’s block, dig into your program and view your keyword list. This list is what people have used to reach your site; some terms and phrases you may never have thought of. In fact, you may find a treasure trove of ideas for great content right in your analytics, without doing anything else. Tip: You can also use your Webmaster Tools to get more keyword hints. A year ago, we were looking for new topics. Digging into analytics, we found a high number of searches for “how to SEO my site”. Now, the searchers reached us with this term, but we hadn’t targeted for it. Yes, we had articles pertaining to this (after all, we’re an SEO company), but not one that pulled it all together. “SEO My Site” is now ranking on the first page, and has since we wrote it. We get several visitors a month for this article, as a matter of fact. Would we have hit this particular phrase if we hadn’t looked in analytics? Maybe, but it might have been months (or even a year later) before we thought of it. Now, we wrote it, so we think the article is great. However, the point isn’t whether it’s a good article or not. The point is that we used analytics to pinpoint an article topic people really wanted to read about – content people still want to read about… and that type of content is the writing that just keeps on giving. You can’t beat it. Grab your keywords and traipse off to Google Adwords and Google Insights. Google Adwords can help you identify other keyword possibilities to go along with the ones you put in. Google Insights can help you identify which key words or terms have been talked about over a chosen period of time. Visit your analytics. For the purposes of this article, we’re showing Google Analytics. On the left-hand side, choose “Traffic Sources”. In the drop down, choose “Keywords”. “Keywords” gives you a list of words and phrases your visitors have used to reach your site. What it also gives you is the number of visits from each term/phrase. In this first step alone, you may find some great terms to target in your next article. 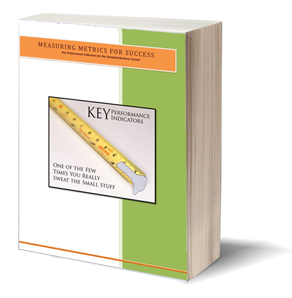 You may dig into your keywords and find one or two that can convert into dynamic content. However, if you have an established site with more than 400 visits a day, you have to find a way to narrow the scope of your search. First, you already know your company name, so exclude it. In the image below, you see two arrows. The arrow at the bottom points to where you’ll exclude your branding. Put in your company name, any variations you can think of, and your site URL. If you get a lot of visits due to branding purposes, this will greatly narrow your key term pool. Tip: By using the advanced filter, you can exclude several key terms at once. This is especially handy if you’re coming up with several unrelated terms. The second arrow is the number of visits. Make sure your key terms are put in order, with the highest number first. Take the top ten, and hop over to Google Adwords, WordStream or your favorite keyword evaluation site. Here, you can either put in your top 10 at the same time or run each one separately. Make sure the “only show ideas closely related” box is unchecked. You don’t want to narrow your options too much. Once you press “Search” you’ll end up with a list of terms. Although you can pay attention to local monthly searches (if no one is searching, it’s probably not a good term to focus on), what you really want to look at is the little graph on the right side marked “Local Search Trends”. While local monthly searches will show you the past month, the search trends will show you whether a term is growing (i.e “trending”) in popularity. If this isn’t enough to give you great ideas, let’s move on to Google Insights. Are the terms you chose from your AdWords search considered hot topics? Next to each term, you’ll see a little magnifying glass. [See left red arrow in above image] Click the glass to be taken to Google Insights for your chosen term. Here, you’ll have a chance to find out what area of the world is searching for your term the most. You can even narrow it down to what cities in, say, the U.S. for a set period. For the purposes of this article, we’ve used “wordpress seo” with no filters. You can insert this search term into Google Insights to walk along with us, click on the picture or click Google Insights – WordPress SEO search for a larger image. Finally, you have your last chance to grab more topics. On many terms, Insights will also give you a list of related terms at the bottom of the page. For example, in this search, we find that topics such as “thesis wordpress” and “wordpress 3.0” are trending. These two subjects are excellent topics for us to write about (and gives we authors some great ideas for our upcoming blogs, so look for them!). As you go through these steps, have a notepad and pen nearby. If a headline or article idea comes to mind, write it down. By the time you’re done, you’ll have a great list of potential articles. However, what you’ll also have is a list of trendy topics you already know people are interested in reading about. Congratulations! You’ve just completed one of the hardest parts of writing great content – developing dynamic, engaging ideas. The other part, equally hard, equally time-consuming, yet equally rewarding, is the actual writing… but that’s another blog entirely.